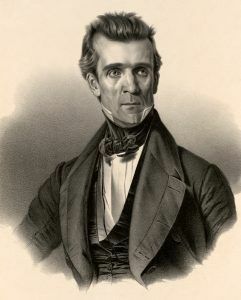 The 11th President of the United States, Polk also served as Speaker of the House and Governor of Tennessee. Polk was the last strong pre-Civil War president and was noted for his foreign policy successes. Scholars have ranked him favorably on the list of greatest presidents for his ability to set an agenda and achieve all of it. Polk was too sick as a child to get formal schooling, yet managed to graduate at the top of his class from the University of North Carolina when he was 22. He was nicknamed “Napoleon of the Stump” for his excellent speaking skills. Polk was a very hard-working chief executive who proved to be one of the most productive presidents in history. He greatly expanded the U.S. territory and re-established the independent treasury system, among many other accomplishments. Upon election, he vowed to serve only one term, a promise he kept when he declined to run in 1848. Distinguished general and 12th President of the United States, Taylor served in the War of 1812 and the Mexican-American War, where he earned the nickname of “Old Rough and Ready.” He was elected president in 1848, the first to never have held any previous elected office. He was also the last President to hold slaves while in office. Just two years into his presidency he died. 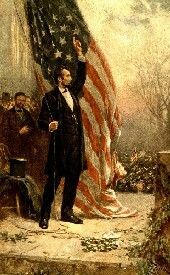 The 13th President of the United States, he assumed the presidency after the death of Zachary Taylor. After serving out Taylor’s term, he failed to gain the nomination for re-election. Politician, lawyer, soldier, and 14th U.S. President, Pierce was a brigadier general in the Mexican-American War. As president, he made many divisive decisions which were widely criticized and earned him a reputation as one of the worst presidents in U.S. history. His popularity fell after he came out in favor of the Kansas-Nebraska Act, repealing the Missouri Compromise and renewed the debate over expanding slavery in the West. He lost the nomination for re-election. The 15th U.S. President, politician, and attorney, he was often referred to as a “doughface,” meaning a Northerner with Southern sympathies. Buchanan’s efforts to maintain peace between the North and the South alienated both sides, and the Southern states declared their secession. His inability to impose peace on sharply divided partisans on the brink of the Civil War has led to his consistent ranking by historians as one of the worst Presidents. Pioneer, attorney, and 16th U.S. President, he guided this country through the most devastating experience in its national history — the Civil War. He was assassinated on April 14, 1865, and died the next day. He is considered by many historians to have been the greatest American president. The 17th U.S. President, following the assassination of President Abraham Lincoln, Johnson presided over the Reconstruction era in the four years after the American Civil War. His position favoring the white South came under heavy political attack and his vetoes of civil rights bills embroiled him in a bitter dispute with Radical Republicans. He was impeached in 1868, but, was acquitted by a single vote in the Senate. He is commonly ranked by historians as being among the worst U.S. presidents. Ulysses S. Grant and his family, by Pach Brothers, 1870. American General and the 18th President of the United States, he achieved international fame as the leading Union general in the Civil War. However, he wasn’t rated well as an American president. A lawyer, major general in the Civil War and 19th U.S. President, Hayes also served as the Governor of Ohio twice, and in Congress. During his presidency, Hayes ordered federal troops to suppress The Great Railroad Strike of 1877 and ended Reconstruction by removing troops from the South. After the removal of the troops, all southern states soon returned to Democratic control and the start of the Jim Crow South. A lawyer, Major General during the Civil War, and 20th U.S. President, he served only 200 days in office. Shot by Charles J. Guiteau on July 2, 1881, who was disgruntled by failed efforts to secure a federal post, one bullet grazed Garfield’s arm, while another lodged in his spine. Garfield became increasingly ill over the next few weeks due to infection causing his heart to weaken. He died of a massive heart attack on September 19, 1881. Lawyer, politician, and 21st U.S. President, he assumed the role after James Garfield died. His primary achievement was the passage of the Pendleton Civil Service Reform Act, which earned him the moniker “The Father of Civil Service” and a favorable reputation among historians. However, he failed to be nominated for re-election. 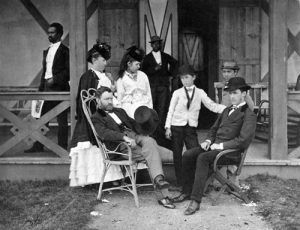 Lawyer, politician, New York Governor, and the 22nd and 24th President of the United States, Cleveland is the only president to serve two non-consecutive terms (1885-1889 and 1893-1897). He won praise for his honesty, independence, integrity, and commitment to classic liberalism and reform. However, his strong positions took heavy criticism, and he was defeated in the re-election of 1888.